Niger has been well paid for drastically reducing the number of African migrants using the country as a conduit to Europe. But the effort has hurt parts of the economy and raised security concerns. DIRKOU, Niger — The heavily armed troops are positioned around oases in Niger’s vast northern desert, where temperatures routinely climb beyond 100 degrees. While both Al Qaeda and the Islamic State have branches operating in the area, the mission of the government forces here is not to combat jihadism. Instead, these Nigerien soldiers are battling human smugglers, who transport migrants across the harsh landscape, where hundreds of miles of dunes separate solitary trees. The migrants are hoping to reach neighboring Libya, and from there, try a treacherous, often deadly crossing of the Mediterranean to reach Europe. The toll of the military engagement is high. Some smugglers are armed, militants are rife and the terrain is unforgiving : Each mission, lasting two weeks, requires 50 new truck tires to replace the ones shredded in the blistering, rocky sand. 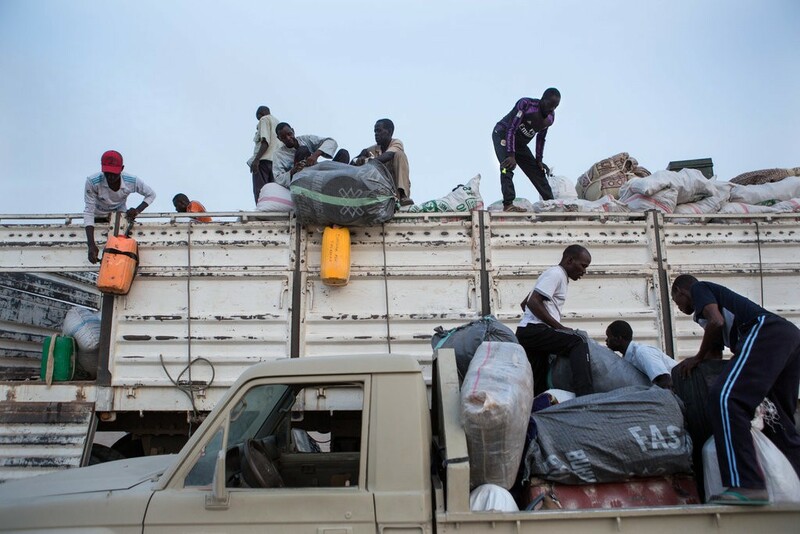 But the operation has had an impact : Niger has drastically reduced the number of people moving north to Libya through its territory over the past two years. The country is being paid handsomely for its efforts, by a Europe eager to reduce the migrant flow. The European Union announced at the end of last year it would provide Niger with one billion euros, or about $1.16 billion, in development aid through 2020, with hundreds of millions of that earmarked for anti-migration projects. Germany, France and Italy also provide aid on their own.